Your online activity isn't as safe as you'd like it to be: your IP address is registered on every single server that you visit whilst browsing with Chrome, Safari or any other browser or when you use an application installed on your iPhone. Neither is it safe when you access a public WiFi network where it's exposed making your communications insecure. 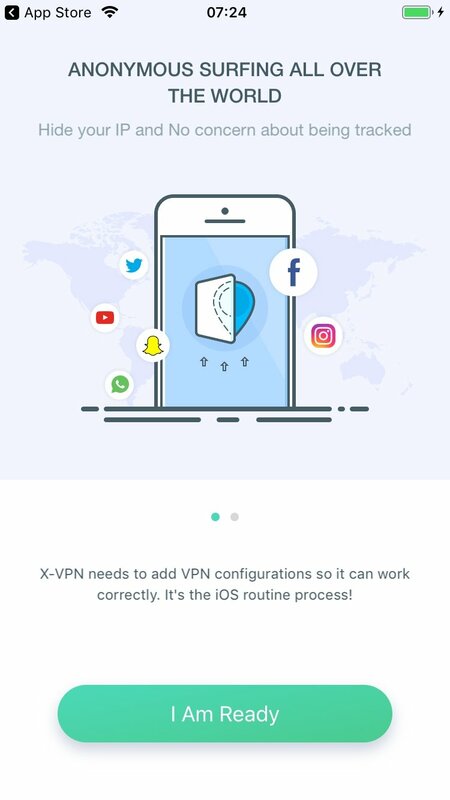 To avoid these and other dangers, the most recommendable thing to do is resort to a VPN service such as X-VPN Unlimited VPN Proxy, capable of encrypting our communications behind a fake IP. Thanks to this action our privacy and security will be increased so we aren't exposed to so many online dangers. With a simple click, you'll be able to protect all your browsing data. 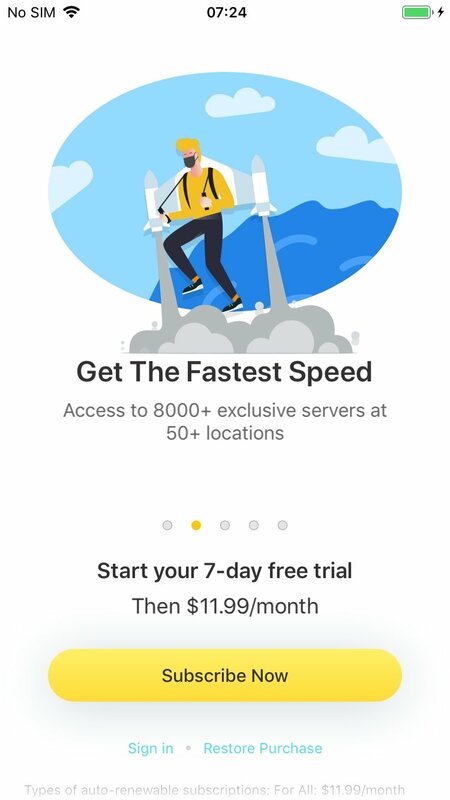 Fast connection through the service's servers. Different servers distributed around the entire world which the user can choose between. Protection on public WiFi networks against any kind of tracker, data theft or hack. 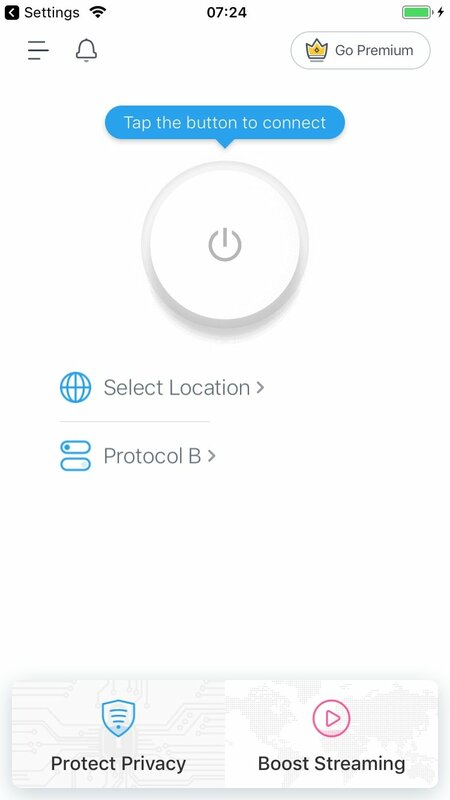 No activity registries on X-VPN's servers. Access to online contents that are usually blocked or censored. 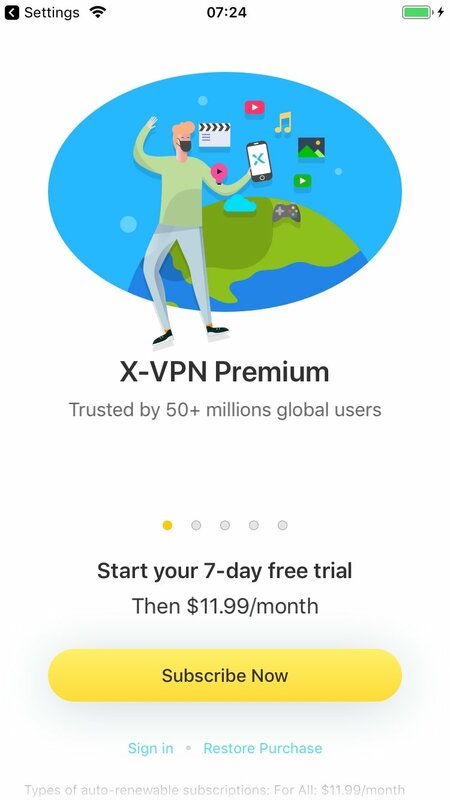 Nevertheless, although you can download the app of X-VPN totally free of charge, using all its features requires us to sign up as a premium user making use of any of its monthly or annual plans.